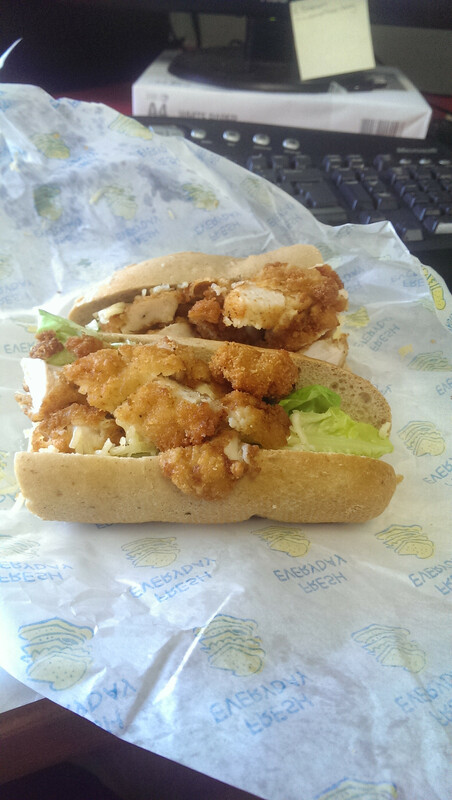 THIS WEEK, PERHAPS more glaringly than others, the chicken fillet roll came into its own. As tens of thousands of weary travelers made their way back from the trenches at Electric Picnic, countless bursting baguettes were no doubt handed into grateful grubby paws. So, with this in mind, we pen a long overdue missive of desire and lust to our beige beloved. Breaded chicken, so soft and yet so yielding. Perhaps some lettuce, so crisp and unexpected. Tomato? Why not. PLACE IT INSIDE MY BUTTERY ROLL. And oh the roll. The exotic simplicity of the roll…. “Please let it be fresh” come the breathless and urgent whispers. “Please, let the crusty corners be not too harsh, lest they rent and tear at my gums”. “Murmer ‘demi baguette’ to me one more time”. “Plain or spicy”, the deli masters ask coquettishly from behind their glass fortresses. The answer doesn’t matter, for the chicken is the heart of the roll, and each man and woman must choose their delicious poison. Butter or mayo? Ketchup perhaps? Maybe some taco sauce. POUR SOME TACO SAUCE ON ME, OH CHICKEN FILLET ROLL. Some opt for a sprinkling of cheese, for some ‘cheese’ is a safe word; a metaphor for a step too far . There are those who dabble in the taboo mixing of mayo and butter. Sweetcorn; a vice or a virtue? Oh Chicken Fillet Roll, tell us your secrets. Show us your ways. It’s time to cast aside stew; to turn our backs on mere potatoes. They come from far and wide to Centras and Spars to sample your forbidden juices. Let us celebrate and shout from the rooftops. Let us sell you for €17 at the airport. Let us place you on a stamp and feed you to visiting dignitaries. Do not blame us if they scrimp on the fillings, if they run out of spicy, if they cut your pristine edges with a knife tainted with a sauce not of your choosing. They know not what they do. Those among us who *draws dramatic breath* choose to eat you while on the move, traversing a busy street or hurrying to a meeting; do not tar us all with the same brush. We know you should be consumed in a stationary, and if possible solitary ceremony of reverence. Especially this Friday morning, for we have a work night out on Thursday, and are likely to be in a compromised state when we call for your restorative powers. Email “A Love Letter To The Chicken Fillet Roll From The People of Ireland ”. Feedback on “A Love Letter To The Chicken Fillet Roll From The People of Ireland ”.